I love the effect. Bald eagles (and in fact all large birds) never fail to impress me. Thanks Mike! They are impressive, especially in flight! Great image and I like your spirit of not being afraid to experiment. Thanks Mark! I figure as long as I’m upfront about using photoshop on images then it’s fine to alter them and try out different post processing effects. 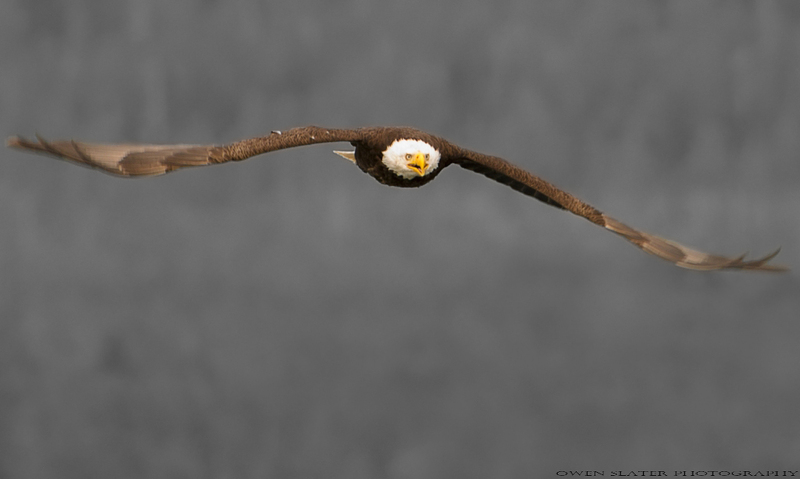 The eagle is wonderful showing off its wingspan. The effect is an interesting alternative and i like it though probably not too many like it. hi there I would love to have permission to use your image of this eagle as a reference for a painting….i am an artist – http://www.anitavanzyl.wordpress.com – please let me know if it would be ok to use your image….if i use it i will give credit in my title / and i always write on the back of the canvas who took the image i used as reference.